The 33-year-old model took to Instagram on Wednesday to show off John Legend's swim skills. The clip features the 40-year-old R&B singer taking a lesson with his instructor and swimming the width of the pool. As for why the video had no sound, Teigen told a Twitter user that she was "cheering too loudly." "Adult swim with @kidswimla - so proud!!!" 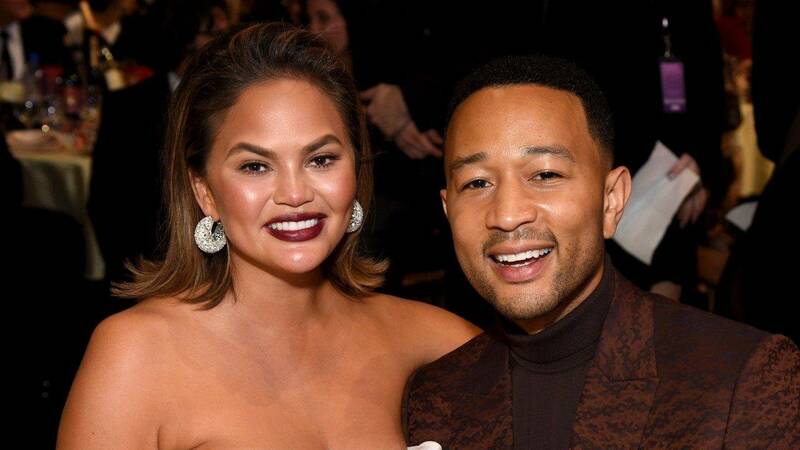 Teigen gushed in the caption. KidSwim reposted Teigen's video, writing, "🏊‍♂️ It is such a joy to work with enthusiastic swimmers of ANY age and it’s so satisfying to see someone accomplish a goal! Honored to be a part of the process! 💙"
Teigen's post followed Legend's tweet earlier this week, where he revealed that he "can't really swim." "Today I took my first swim lesson since I was like five," he wrote. "My dad learned in his 60's so I feel like I'm ahead of schedule." As for the couple's two children, Luna, 2, and Miles, 8 months, Legend told a Twitter user that they already started their swim lessons "months ago."